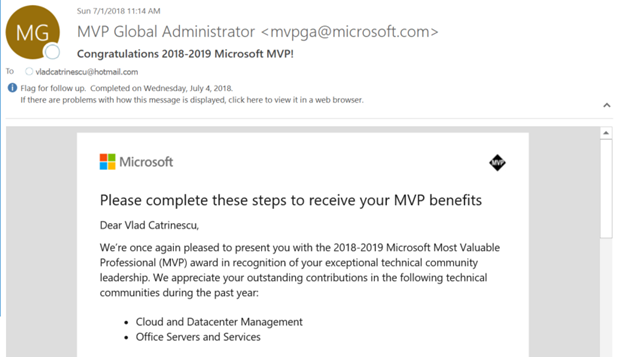 A bit late on the blog post compared to the other MVPs, but I am honored, humbled and excited to announce I have been renewed as an Office Apps and Services (previously known as Office Servers and Services) MVP for a fifth year in a row! This year is even a bit more special as I have also been awarded the Cloud and Datacenter Management MVP for the first time, for my contributions in the PowerShell community! 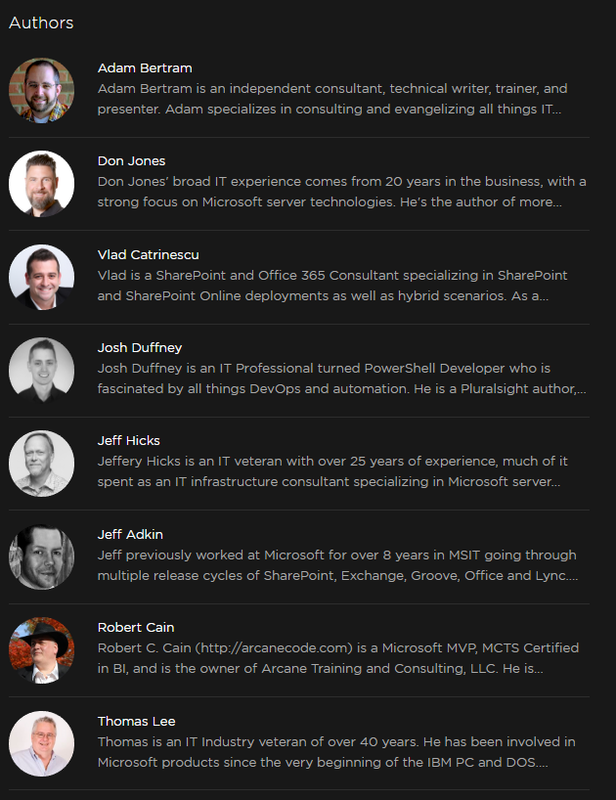 Thanks to Microsoft community for giving me the opportunity to share my knowledge, I will continue to share my passion for Office 365, SharePoint, Flow and of course PowerShell! Special mention to the whole team at Valo Intranet who keeps encouraging me to do more and enables me to give back to community as much as I do! All of the five MVPs on the team got renewed and I am looking forward to creating awesome content with all of them this upcoming year! Whether you want to do some reports or debugging, you might need to quickly find out what Distribution Groups a user is a member of! You could go in the user’s profile, see all of the groups , find out which ones are Security, which ones are Distribution Groups.. or you could do an easy PowerShell cmdlet! You can now either Display it , or do another action such as removing the user from all of them! That’s it! As you see this is really an quick and easy PowerShell snippet! 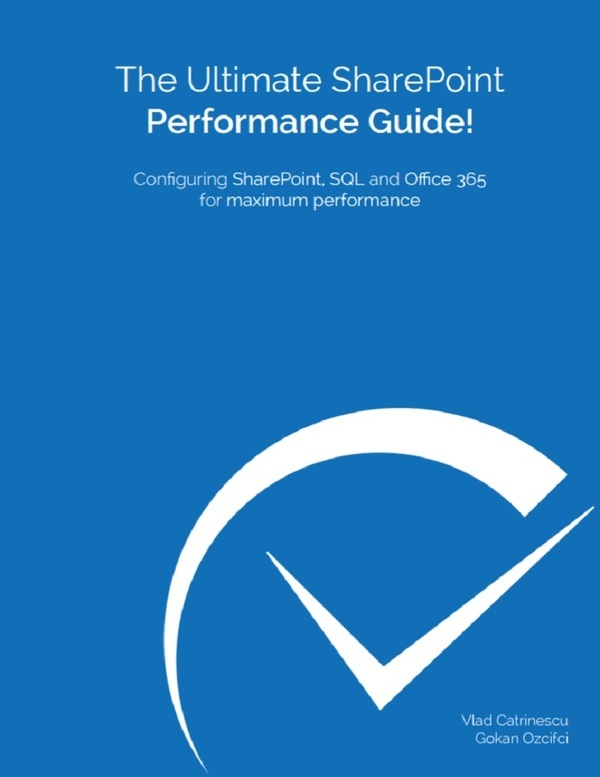 You cannot have full control of your Office 365 tenant, if you do not know how to use PowerShell for Office 365, since there are a ton of configurations, and settings that are only configurable via PowerShell, and not via the Office 365 Admin Center! 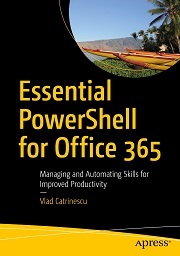 Not to mention, all the automation capabilities that PowerShell allows you to script, so you save time and money. 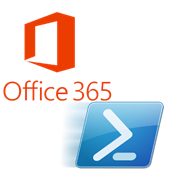 Since most accounts admin accounts are (or should be) configured with Multi Factor Authentication, here is a small guide on how to connect to all the Office 365 services with PowerShell and Multi Factor Authentication enabled! Once you have the Azure Active Directory module installed, connecting with Multi Factor Authentication is done by specifying the AccountId parameter, and not a full credential object as we would do with single factor authentication. This will Open up a window, asking you to enter the password for that account, and then your second authentication method as seen below. When we connect to SharePoint Online using PowerShell, we use the Connect-SPOService cmdlet as usual as well as the URL parameter, which is the URL of your SharePoint Online Admin Center, and simply skip specifying the -Credentials parameter. This will open a pop-up window asking for our credentials, as well as the second method of Authentication as you can see below! While the previous two were easy, this one is a bit more complicated since we need to download a module, whereas to connect with Single Factor Authentication there is nothing to download! 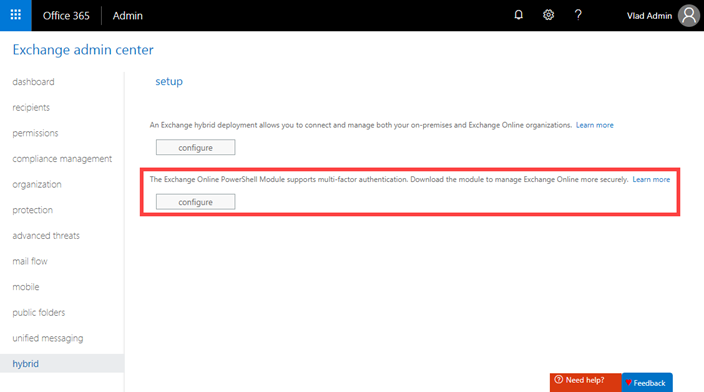 From the Exchange Online Admin Center, go to the Hybrid section, and click on Configure under the Exchange Online PowerShell module. 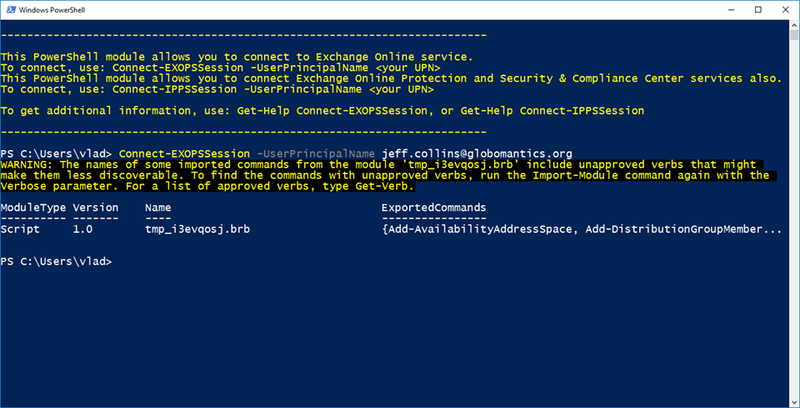 Once you have the Exchange Online Module, you need to use the Connect-EXOPSSession PowerShell cmdlet, and specify the user account that you will be connecting with. If you are in Office 365 Germany, you need to provide a few more parameters, as seen in the following example. 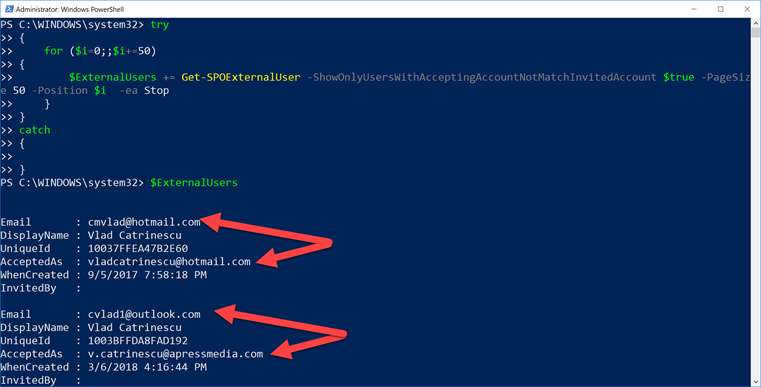 To connect to the Office 365 Security and Compliance Center with Multi Factor Authentication, you need the same PowerShell module as Exchange Online, about which we talked earlier, but you will be using the Connect-IPPSSession PowerShell cmdlet as seen in the following example. If you are part of Office 365 Germany, you will need to provide the additional parameters seen below. To Connect to Microsoft Teams, you use the Connect-MicrosoftTeams PowerShell cmdlet, and specify the -AccountID parameter. Similar to the other services, you will get a prompt asking you to input your password, and second method of authentication. 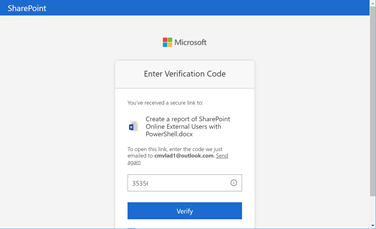 That is it, we have now looked at how to connect to all Office 365 Services, using PowerShell and Multi Factor Authentication! 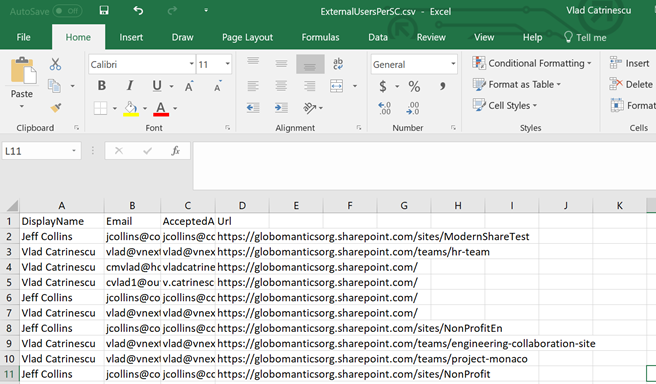 While working on some reporting with PowerShell and Office 365, I have discovered something that might be important if you use the Get-SPOExternalUser PowerShell cmdlet to create reports on your SharePoint Online external users. 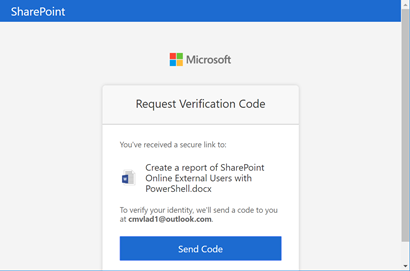 At the end of 2017, Microsoft has released a new , simpler, and nicer way to share SharePoint Online content with your external partners, allowing them to log in with a simple pin / e-mail validation , without them needing to have a Microsoft account anymore. Users loved it, but it seems the PowerShell module hasn’t yet been updated to show those new users yet. Microsoft is already aware of this problem and they have an issue open on the GitHub site for the SharePoint Online PowerShell Module. 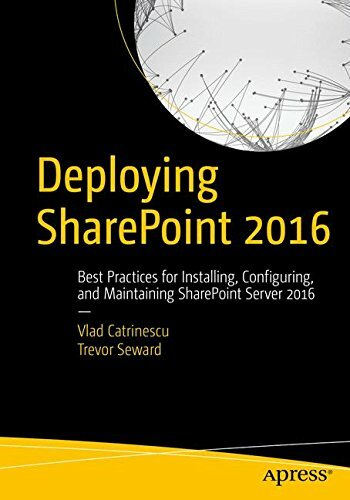 This is valid as of the February 2018 version of the SharePoint Online PowerShell Module and I will update this blog with the version when Microsoft fixes it or gives an official workaround . You can also check live updates directly on the issue on GitHub! 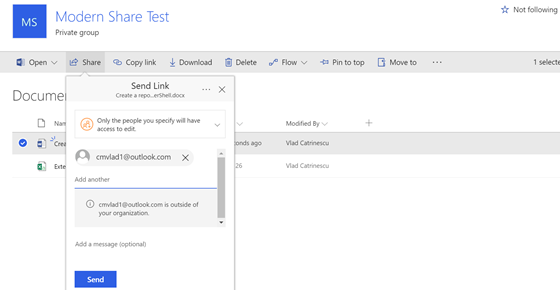 To show you the bug, I will first invite an external user to a document in a modern SharePoint Online site called Modern Share Test, you can see the screenshot of the invite below. I will then navigate to outlook for this example, accept the invite and then log in to view the document shared with me. As you see in the screenshots below, I am first asked to validate by e-mail, Microsoft Sends me a PIN number, I enter it in the box, and it all works nicely. 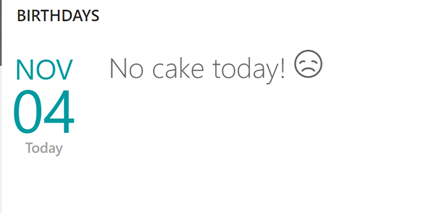 Off topic, but good job to the Microsoft people who worked on this feature as the end-user experience is amazing. Now I will go to PowerShell and run a Get-SPOExternalUser on that Site Collection, and as you see below, it only returns a user, and it’s not the one we just invited! However, if I run an Get-SPOUser cmdlet against the same site, we can see that users added with this modern sharing option have a different login name vs our old external users. The Old naming convention was using #ext# while the new one is urn:spo:guest . 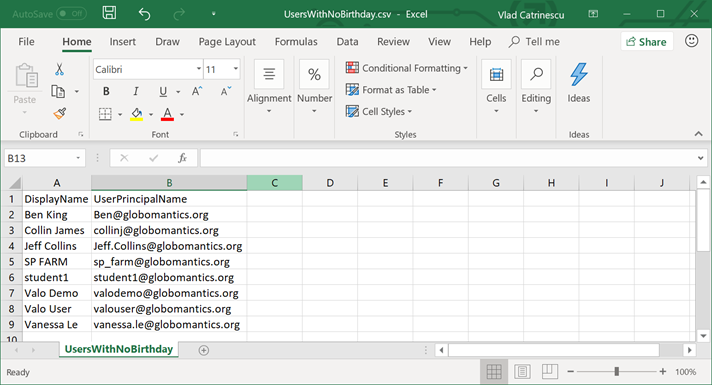 In the screenshot below, you can see the accounts in a red box that use modern sharing, and the new naming convention, and the account in the green box that uses the older, Microsoft account method (or Azure B2B). Luckily, even if the Get-SPOExternalUser PowerShell cmdlet is not perfect anymore and only works with accounts that log in with a Microsoft account, we can still create reports using the existing cmdlets. Here is a small script that I have done that uses the Get-SPOUser cmdlet to return the external users per site collection and exports them to a CSV file at the end and includes the URl so you can also do some nice filtering. There are a ton of ways to do PowerShell, and probably a ton of ways to do this, but here is a way that I have tested, and it works! And here is a screenshot of the CSV, with a Filter on the URL we have talked about before! One of the really cool things that we can do with SharePoint Online is to easily share documents, or sites with external users. The cooler thing even is that now my users can securely share stuff, without having to go through IT, so as an Office 365 Admin, I have a lot more time to be productive, rather then create FBA or AD accounts for my external users as I did On-Premises. However, even if I don’t have to do it myself, I still want to stay informed about what external users have access to what, and who got added to what Site Collection, so I have created a few scripts for it! My first report is one that I run on a weekly basis, and it’s a easy one: What users have been added to my SharePoint Online environment in the last 7 days? The script is simple, I will use the Get-SPOExternalUser cmdlet to get all of my external users, and I am using the loop that I have blogged about here (Getting More than 50 users with the Get-SPOExternalUser PowerShell cmdlet in SharePoint Online) in order to get more than the limit of 50 per query. I am adding a Where statement, where I specify that I only want users that have the WhenCreated property bigger than Today – 7 days, which means they have been created in the last 7 days! Lastly, I am selecting the properties that I want to show and format the result as a table. And here is the result in the CSV File opened in Excel! I could use filtering on the URL, or on the User license if I wanted to get more info!